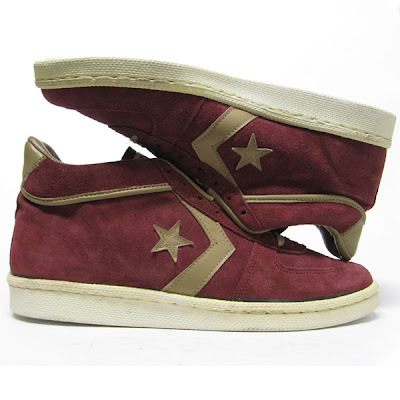 The Converse Blog: 's Friday Flashback: Pro Leather era basketball shoes. 's Friday Flashback: Pro Leather era basketball shoes. 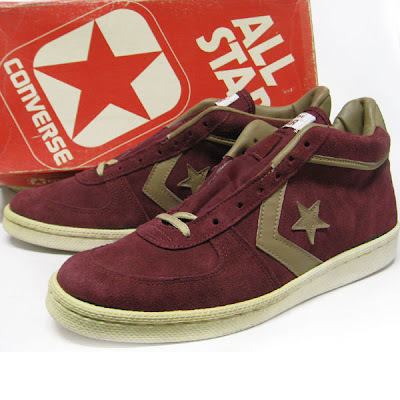 Welcome to the Converse Blog’s Friday Flashback. I am really excited for today’s post for a few different reasons. More times than not the Friday Flashback post are my favorite, but my favorite posts are the shoes that I don’t know anything about. Today I don’t have a name for these shoes, I am not even sure when they released. However, my best guess is the late 70’s or the early 80’s. I am also particularly excited about today’s post because I am getting out of down for a few days on a retreat to Gatlinburg, TN. I am going with the Church I went to while I was in college, so I am going to be seeing a bunch of people I haven’t seen in awhile. But anyway, enough about me lets get to the shoes. These shoes have the same midsole and outsole as the Pro Leathers, but has completely different upper. 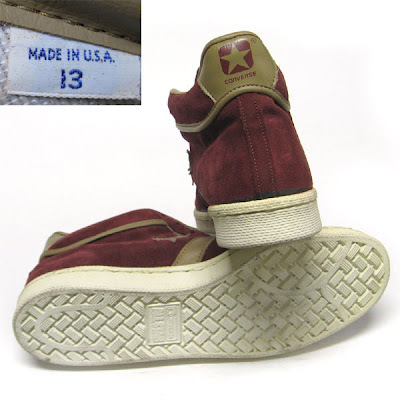 The upper is made from a Maroon Suede, seriously you never see that. The extra leather line around the ankle and the Chevron and Star appear to be Tan. The heel tap also features the fantastic Star in Square logo. There also seems to be some extra padding around the ankle that looks really comfortable. These are screaming for a re-issue release. Kirk Hinrich came up big last night against LeBron James and the other Cavs with a 3 in OT that helped to seal the game. And Alando Tucker got some burn last night for the Suns. Hopefully I can find some pics to post sometime.